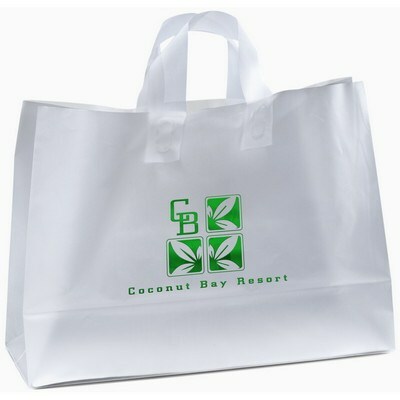 This custom logo Saturn plastic bag has fused loop handles and cardboard bottom insert. 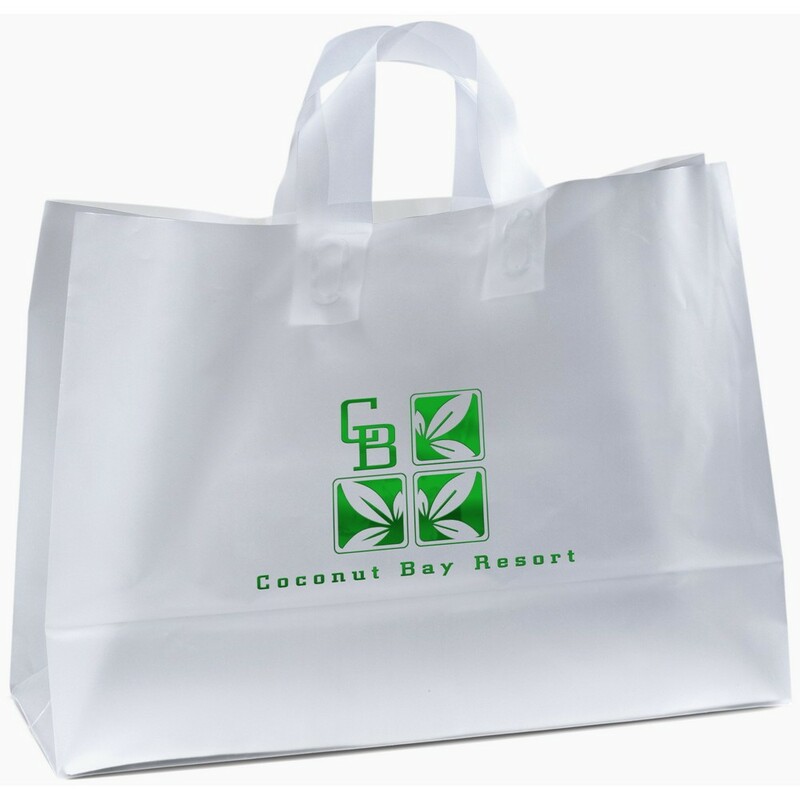 Bring attention to your company’s go green policies in this eco-friendly era and draw in a large customer base, with the Saturn Plastic Bag. Emblazon your company’s logo on the bag to boost brand visibility. The bag is made from high density frosted plastic and is 100% recyclable. It has fused loop handles and cardboard bottom insert for efficient transport and usage. Give away the bag at trade fairs, carnivals, malls, markets, and community events to reap great marketing success.